How fast can hens grow? Yesterday I was checking on my hen trees and a certain one had nothing growing that I noticed, at about 10 am. In the afternoon, I decided to look again. It was after 3 o'clock. Lo and behold I find two babies there. Can they pop up in 5 hours? I thought I was losing my mind and not seeing them the first time lol. We've had quite a bit of rain lately. Interests:spinfishing, gardening (vegetables & greens), cross-country skiing, cooking (not on daily basis), mushroom-hunting, photography (nature and portraits). Haven’t seen them grow that fast. I don’t consider them fast growers. If I find babies, I usially leave it for 3-4 days easy, then check on it. Yeah I must not have seen them the first time I checked the tree. They're growing very slowly now that we have night temps in the 30's. Here's another that hasn't changed much in three days. In my opinion, the hen in camilles last post is perfect for eating. The texture is perfect at that stage, I just worry that picking them while immature sets you up for failure next year. 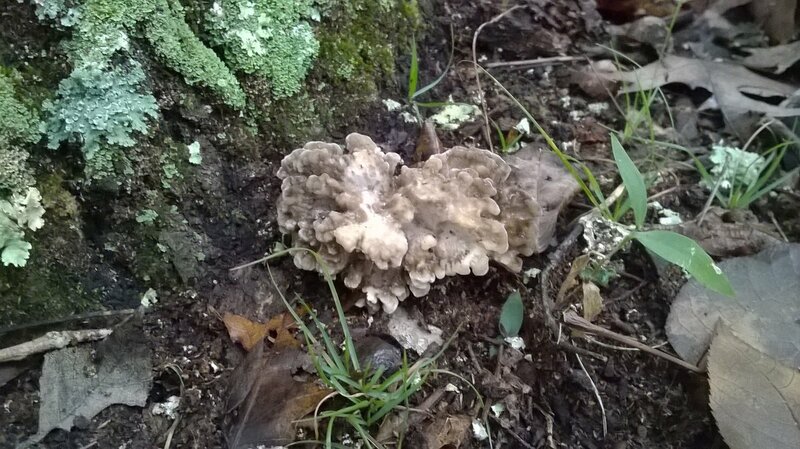 Can anybody comment on whether picking hens early is bad for the mycelium? 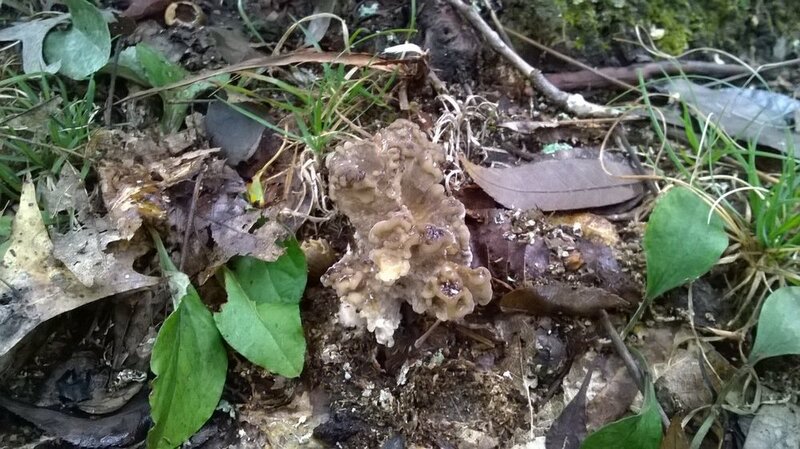 I don't know about hens, since they don't grow in my part of the world; but, generally, anything that you do to the fruiting body (mushroom), such as picking, has no negative effect on the mycelium. 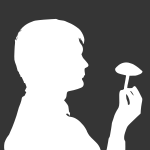 I remember speculation by DaveW, and had the same idea myself, that picking immature mushrooms encourages the mycelium to produce more fruiting bodies, since the purpose of the mushroom is to propagate the species through spore production. So, it wouldn't surprise me if picking very young hens would result in more hens to pick. But I haven't seen any scientific studies about this topic. 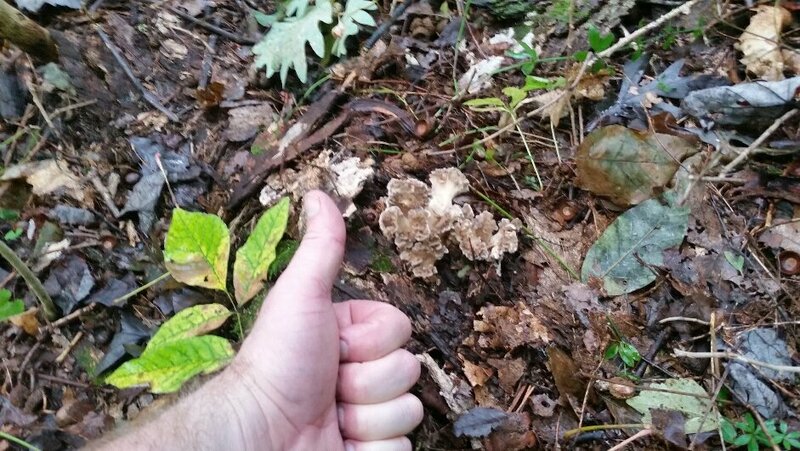 I've been hunting the hens since 2016 and I found them in three locations on my property. We had average rainfall that year. Last year we had a drought and I didn't find any. 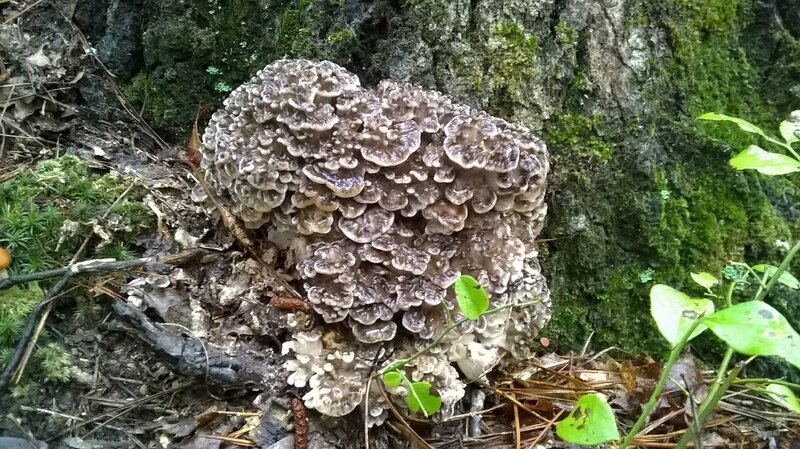 This year has been really good with a rainy fall and I found them on two new trees as well as the ones I found in 2016. I just assumed it was mostly due to the conditions. They definitely take days to grow. They will grow relatively quickly if they fruit during a multi day rainstorm though. Like Eat-bolete, if I find babies like in your first picture, I give them 3-5 days and go back. I have waited a full week and wished I had returned sooner... edible, but not prime. Depends some on conditions though. I'd say if a hen hasn't grown at all in 3 days, it's done growing and I'd pick it. And here's the same tree 9 days later. 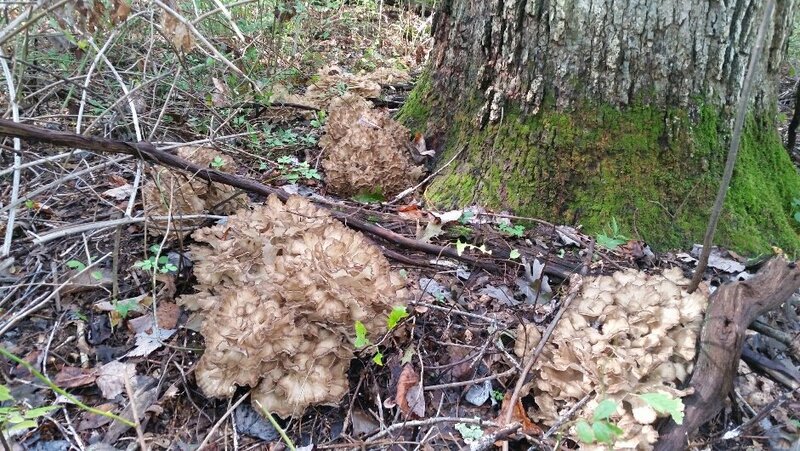 They were edible, but just past their prime imo, with a tiny hint of that odor they get when they get old. It had just rained and they were soaking wet. I should have returned around day 6, but you can't be everywhere at once. I found 3 salamanders in these ones. I had a good year here picking 8 in their prime. Double what I had two years ago. Learned a lot about the way they grow.